DMO’s founder and Chief Executive, Prof. Russell Cowburn, has been elected one of the IEEE Magnetics Society Distinguished Lecturers for 2015. Each year the IEEE Magnetics Society elects four people to present a plenary style lecture on their area of magnetism research to as many audiences as possible across the world. 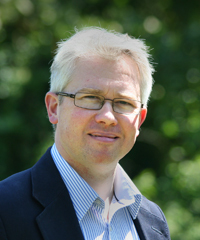 Prof. Cowburn’s lecture will be titled ‘Perpendicular magnetic anisotropy: from ultralow power spintronics to cancer therapy’ and will include numerous measurements taken using NanoMOKE3 magnetometers. Further details can be found at www.ieeemagnetics.org.